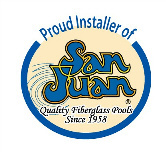 Pool Man carries many brands of pool accessories and water care products from the best manufacturers. Here are just a few brands we carry, but stop by our store at 620 Eastern Boulevard in Clarksville to see all of our products. We provide a free water analysis utilizing the Lamotte Professional Water Lab. Our trained staff can provide you with complete instructions so that you can have crystal clear water all season long.